If you’re anything like me, suddenly it’s New Years ever 2018, the next minute you blink and Mother’s Day is NEXT week and you’re like huh? How did that happen? It’s probably only down to the fact that I’ve really started to prioritise my time this year that I’ve managed to prepare for Mother’s Day at least 2 weeks in advance this year. If there is one thing I hate it’s being unprepared, and that usually results in me gifting the same thing every year. A bit like chocolate and socks for my Dad on Father’s Day, deffo can’t go wrong with that combo though. Mother’s Day also does not have to cost the end of the earth! You’re not competing with anyone and even though everyone’s Mum will always utter the words ‘don’t go spending your money on me’ – you inevitably always will. So, here’s a little Mother’s Day gift edit which covers low-high end budgets, something pretty and thoughtful for every lovely Mum. 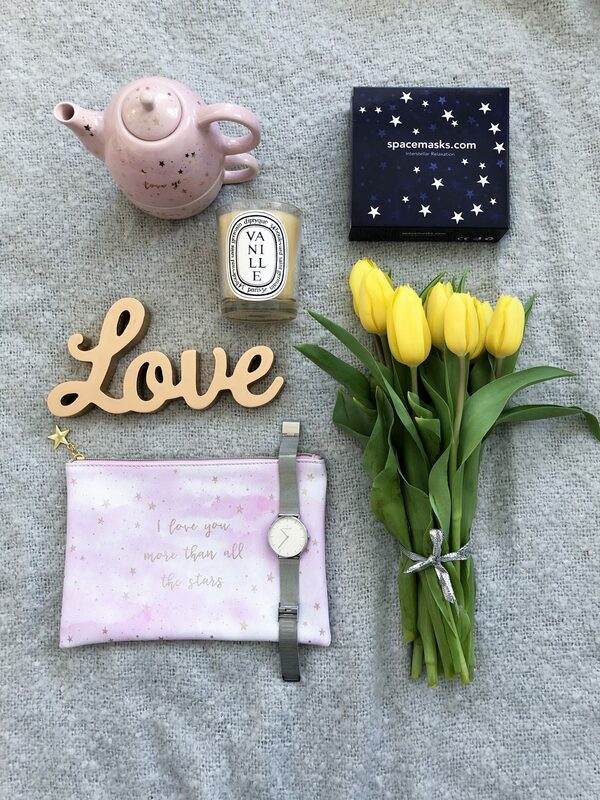 1.Scattered Stars Love You More Teapot £12.50 (GIFTED) – For the mum that loves a cuppa, don’t we all? 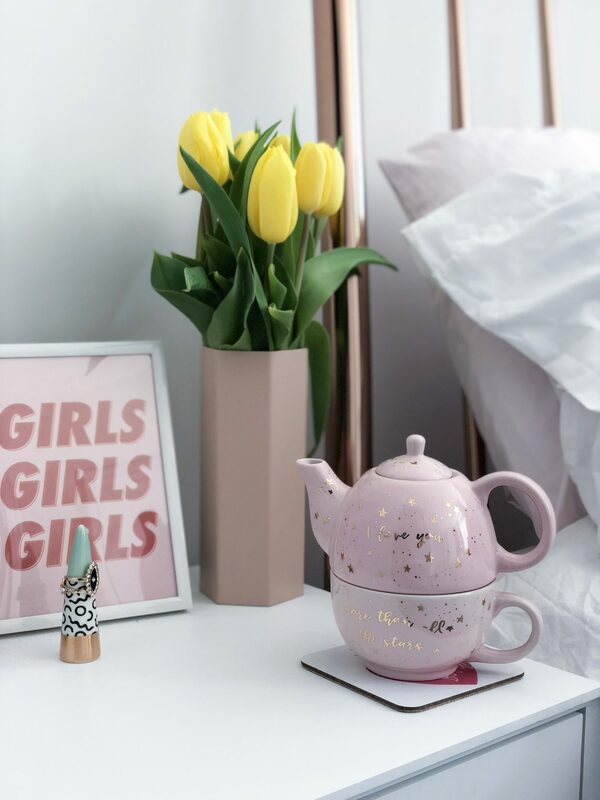 What perfect way to kick Mother’s Day off with breakfast in bed with this utterly perfect matching teapot and cup from Sass & Belle, with a touch of millennial pink and scattered stars. Why not team it with some of her fave biscuits and a magazine for a little bit of R&R. With every order over £25 placed on Sass & Belle you can currently get a FREE Mother’s Day cushion, just enter LOVEMUM at the checkout! 2. Space Masks £15 – OMG, these are unbelievable! I picked a couple of these up for myself in Harvey Nics last year as I’d never heard of them before. When you pop the mask on it gently heats up and it stays warm for the longest time. It’s the perfect opportunity to put on when you’re having a bath and zone out for 20 minutes. Literally my go to for headaches and if I have a cold. Utter relaxation, and I bought my Mum a box for these at Christmas which she loved. Definitely Mum approved. 3. Dipytque Candles £47 – I know candles aren’t everyones bag, I for one only ever go for lightly scented candles such as vanilla and winter scents during Christmas. If you’re looking for a higher priced candle I would personally go for Dipytque, The White Company and Jo Malone, but if you hit up the T K Maxx candle section you can get so many amazing candles for a fraction of the price. I personally think candles make a lovely present, they make your home smell good, they’re calming and perfect for rainy days. 4. Gold Love Standing Letter £5 – (GIFTED) – Subtle homeware touches like this are what I think makes a house a home. Obviously in the colour of the moment too, perfect for dressing up window ledges of shelves. Perhaps you could talk your mum into allowing you to using it for flatlays too? It’s a win, win! 5. Flowers – When have flowers not brought a bit of joy into someone’s life? They’re always my go to for Mother’s Day whether it’s an added extra or the main present. These Tulips are just under £2 from Lidl and you could wrap them up in brown paper and tie with a ribbon for a premium look. You just cannot ever go wrong with our flowers and they don’t have to be expensive either. If I want to go for something a little bit special then I’ll always purchase from Bloom & Wild. 6. Scattered Stars Love You More Pouch £7 – (GIFTED) – I picked out this little pouch as it matched with the teapot and cup. They have a few other items in this range that match including a cushion and photo frame. When do pouches like this not come in handy? So perfect for storing bits in for holiday, makeup and other bits and bobs. 7. 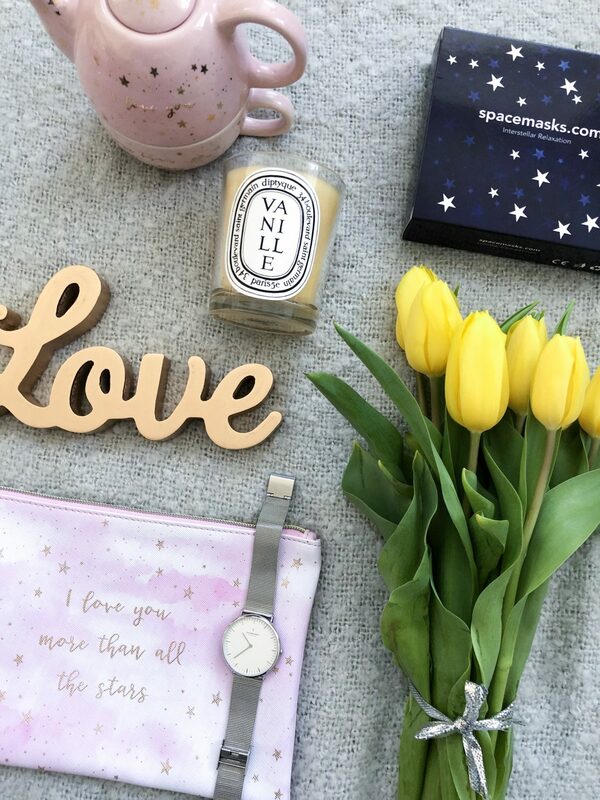 Nordgreen Watch £134-£164 – (GIFTED) – For those looking to really get spendy on their Mum this Mother’s Day then I can’t recommend Nordgreen as a company as a whole and for their watches enough. Their sleek, Scandinavian style of watches are the epitome of cool, and with every watch purchased, by entering the unique serial code on their website you can choose one of three causes to donate to in their giving back programme, including providing clean water and helping to protect the rainforest. This really is the gift that keeps on giving and is perfect for a Mum who cares about the environment and her role within it. -creating a pamper box – think face masks, candles, body lotion, a bath bomb and a book. -Writing a selection of I owe you cards such as; a weekend without having to cook, I’ll clean the house for a week, a dinner at your place of choice – think practical things that will really help your Mum out in the areas that we all need a rest from at some point. -Cooking her favourite meal or baking some brownies and cakes for her. The smallest things really are the most thoughtful, whatever you choose to gift your Mum I hope you have the best Mother’s Day! What are you treating your Mum to this Mother’s Day?